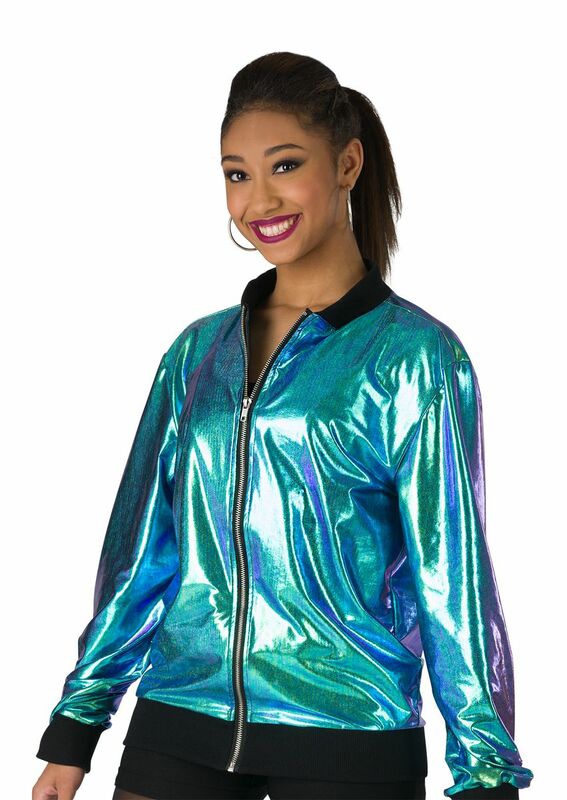 Iridescent foil vest with functional zipper and belt. 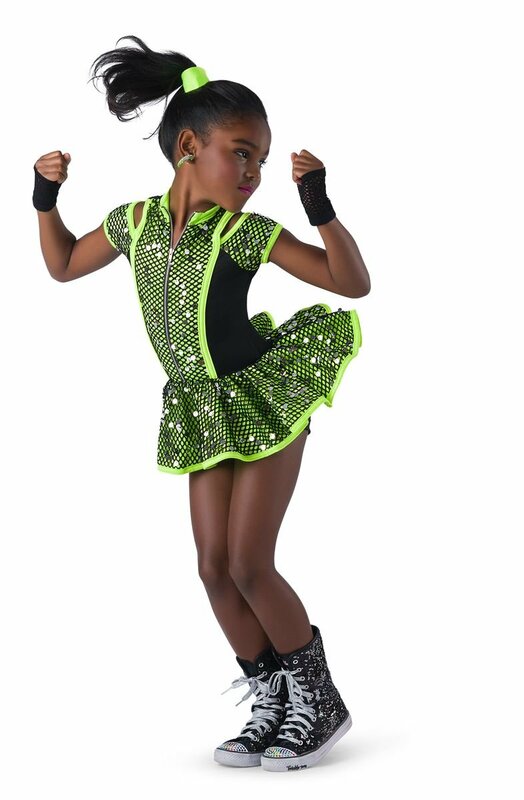 Separate black spandex shortie unitard with attached multi sequin peplum skirt. Buckle and foil binding trim. Imported.